Stillwater Medical Group has been serving patients and families if the St. Croix Valley for over 50 years. 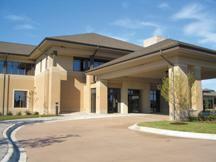 Today, Stillwater Medical Group offers nearly 80 healthcare providers in 20 specialty areas. The clinics have a longstanding tradition of excellence in clinical care and service. Website visitors interested in STILLWATER MEDICAL GROUP were also likely to be searching for these additional terms.